At Comparitech.com, we polled the general public and found that as many as 49 percent of people do not delete old accounts from the web. It might not seem like a big deal, but remember MySpace? All those users who forgot about their old accounts that they likely haven’t touched in a decade were part of a huge data breach just this year. You might say it doesn’t bother you that hackers see what kind of music you were into ten years ago or the silly videos you made. But think about the how many other accounts you have on the web using the exact same login and password. That is the dangerous part. Each time you create a new account, your “attack surface” – as those in the industry call it – increases. You become an easier target. Combine these details with other personal data that you sprinkled around the website, and you become prime pickings for identity fraud. The same is true for the largest ever data breach in 2012 involving Yahoo users, even though details were only released last week. 500 million records! That’s astonishing. Yahoo says it deletes inactive accounts after a year, but that is still plenty of time for criminals to take advantage. 1. Delete old user accounts: Each time you create an online account with a new company and share personal information with them, that’s one more potential opportunity for hackers. We’re not suggesting you stop creating new accounts; just delete old ones and remove some unnecessary risk. 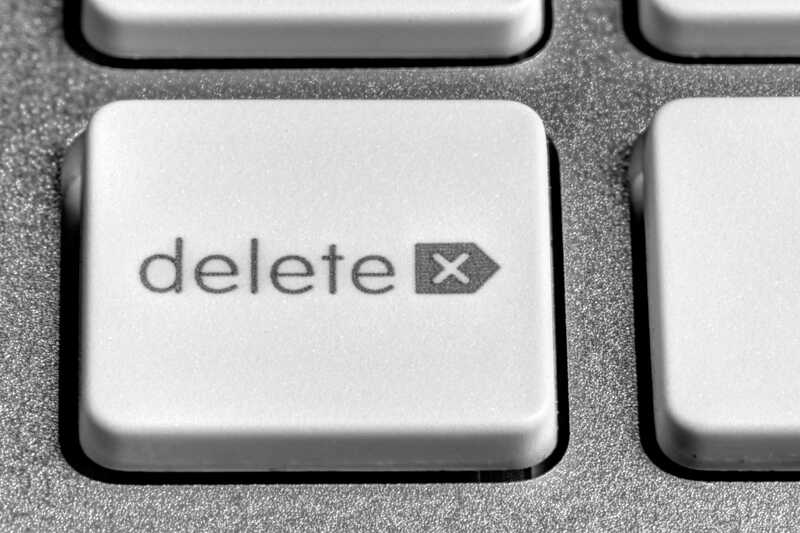 It’s good practice for companies to delete your personal data after an account is deleted. While not all will, many do. It’s worth noting that data often isn’t deleted immediately. Some services allow accounts to be restored for a short period after deletion should you change your mind. 2. Don’t use the same password for more than one account: Using the same password for multiple accounts is like having one key that opens your car, your house, your safe and your bicycle lock. If someone gets hold of it, you are in big trouble. Remembering good, complex passwords is beyond most of us. Thankfully, password managers solve this issue. A password manager will allow you to set complicated passwords for your accounts and will remember them for you. You just need to pick one, hard-to-guess master password for the password manager itself. While there is always the danger of a hacker gaining access to your password manager, the data stored for your individual accounts will be encrypted. Most experts agree using a password manager is a good idea. If you’re still not sure, read the arguments for and against password managers here. Several good, free password managers are available including LastPass, Dashlane and KeePass. 3. Don’t login to online accounts over free WiFi: Free WiFi often presents an easy target for hackers to intercept your personal data and account login details. If you really do need to access an online account in public, then use your mobile network. Better still, use a VPN to encrypt your traffic, so anything that is intercepted is jumbled nonsense. If you do connect to public WiFi, even if it’s not to access any accounts, turn off sharing on your device or set the network as “Public”. 4. If two factor authentication is available, use it: If someone hacks your account and tries to login from an unfamiliar location, they will usually be prompted to pass additional security, often by entering a code sent to your phone. Setting this up is particularly important for your email address. Your email is where password resets will be sent for other accounts, making it the last place you want a hacker to access. 5. Keep your operating system up to date: System updates often patch security holes. Hackers know that not everyone runs the latest updates and will exploit vulnerabilities in old operating systems. If a hacker accesses your system, they could install malware, which can record your keystrokes, collect usernames and passwords, and mine for other personal data. Updating your operating system to the latest version is a free and easy way to avoid being an easy target for hackers and malware.